Discussion in 'General Discussion' started by lindbergh, Aug 30, 2013. 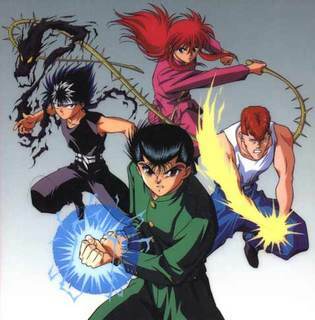 What superpowers did/do you find cool in the Animes that you are watching (or have watched)? When I was young, I found the Kame Hame Wave of Son Gokou to be so cool. I always imitated it when I would go about and imagine fighting bad guys. I also liked the Ray Gun of Eugene in Ghost Fighter. Epic thread, for me all the single powers used on the Dragon Ball series were so epic, the flying one which everybody seemed to have was more than enough if you ask me, that combined with their super strength was just top of line! On a more realistic approach I also loved the agility and skill Rurouni Kenshin showed on his anime flick. 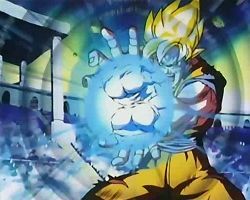 My favorite power is when they would teleport on Dragon Ball, just put two fingers to your forehead and instantly pop up wherever you want. That would REALLY cut down on my commute time better than their flying power. I have a few favorites and since some of them have already mentioned I'll just mention the ones that haven't been mentioned yet. 1. Accelerator's ability - Accelerator is that cool guy from Railgun and is the strongest esper in all of academy city. His power is to bend vectors at will. I mean come on the guy is practically untouchable how can that not be cool? 2. Blood field from Noblesse - Blood field is an ability in noblesse that only 2 people can use. Basically it's a power that freely let's the user manipulate blood. 3. Geass - Everyone probably knows what this is but the reason why I like it is what could be cooler than killing your enemy by just ordering them to do it? 4. Last but not the least Robert Hyden's imagination to reality ability. That was really awesome although it's awful that you have to sacrifice years of your life in order to use it. The 'power' I admire most in a character is 'intelligence' , like Death Note's L and Yagami Light & Code Geass's Lelouch. It's less about what powers they were granted or what resources they have but how they splendidly played the cards they were given to achieve their goals through strategy and cunning. The Sayian powers and Geass powers is something I would kill to have in real life. I sometimes imagine how my day would go and be different if I did have them. Sadly though till I find a wish granting dragon I'll have to keep dreaming and keep watching more anime with great powers in them. Haruhi Suzumiya's power over reality is pretty cool. Just her boredom could change everything for the worse. I remember finding out that she was super powerful when I watched the show but I never got to finish it. Maybe I'll try watching it again so I can finally see what happened at the end. I guess the ability to control the elements or time. I mean animes with lots of explosive super skills can be quite exiting but it its too flashy XD. So something more subtle but effective would be nice. I remember seeing a video about this anime, over a song of skittles or something. Your comment actually makes me want to see it! And I had forgotten about teleporting in DB! Woah. Hahaha. I'd definitely want to do that. And I'd like Levy's writing power in FairyTail -- they are not the most showy, but I like how they work. Also Shaman King and the ability to see ghost and work with them!